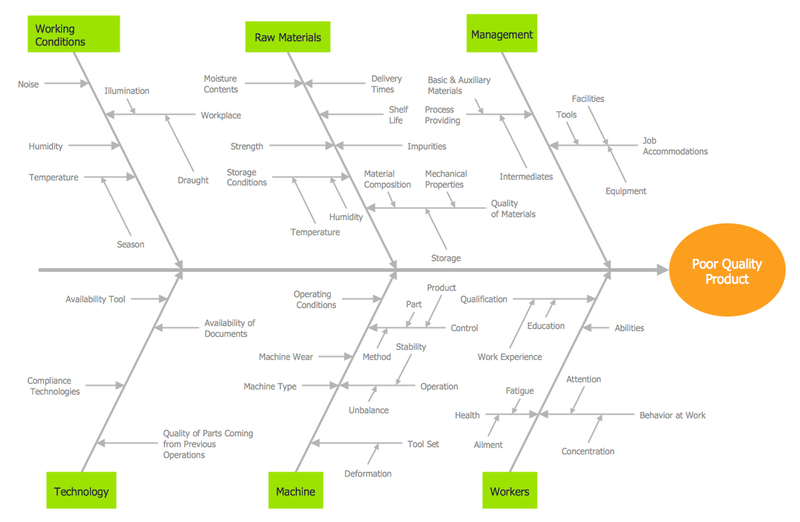 Now the problem of complexity the Cause and Effect Fishbone Diagram creating is solved thanks to the ConceptDraw DIAGRAM diagramming and vector drawing software extended with Fishbone Diagrams solution from the Management area. Fishbone Diagrams Solution provides the extensive drawing tools, the Fishbone Diagrams library with large quantity of ready-to-use vector objects, and also collection of predesigned Fishbone, Cause and Effect,and Ishikawa Diagrams. 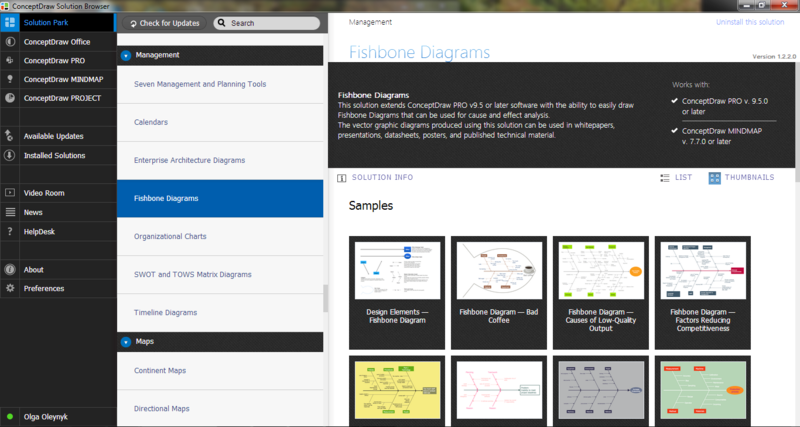 All Cause and Effect Fishbone Diagram samples are available for viewing and editing from ConceptDraw STORE. Here you can also find the template specially prepared for quick creating the Cause and Effect Fishbone diagram on its base. The samples you see on this page were created in ConceptDraw DIAGRAM using the tools of the Fishbone Diagrams Solution. 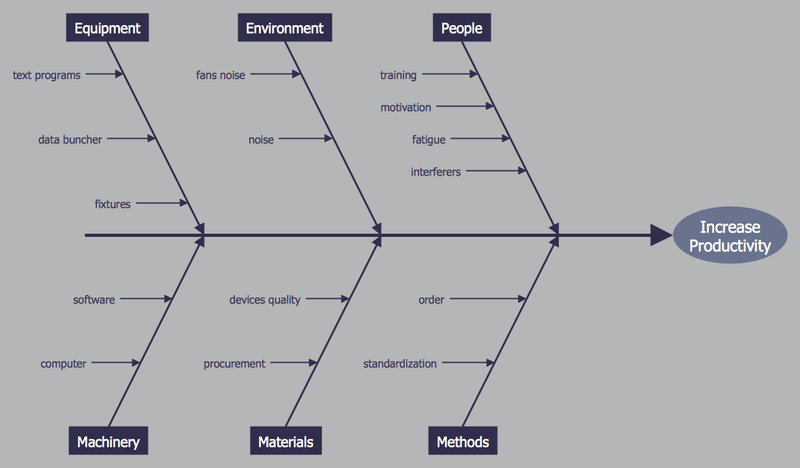 An experienced user spent 10 minutes creating each of these Cause and Effect Fishbone Diagram samples. Use the Fishbone Diagrams Solution for ConceptDraw DIAGRAM Solution Park for effective cause and effect analysis and easy Cause and Effect Fishbone Diagram creating.